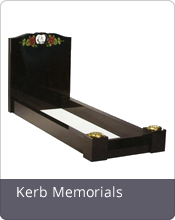 We have nearly 200 years and four generations of experience in helping our clients choose a fitting memorial in memory of their loved one. This can be a sad and stressful time. We here at J Day & Son remove that stress and make sure the process is as quick and easy as possible for you. 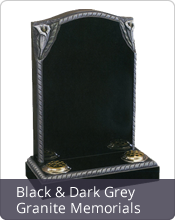 Below are the cemetery headstones and gravestones we provide, along with an example of our past designs. We offer a wide range of designs and our stonemasons are more than happy to create something bespoke to tailor your needs. We take the greatest care in assisting you at this difficult time with a visit to one of our offices / showrooms, a home visit, or a meeting at the cemetery. We pride ourselves on quality and craftsmanship learnt over many years and have a vast selection of gravestones and memorials to choose from. 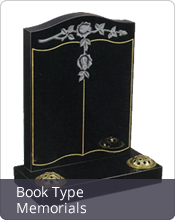 From a beautiful book memorial to cremation stones; we offer them all with a range of design possibilities. Don't hesitate to call us today and speak to one of our specialist stonemasons. 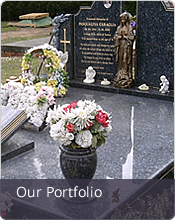 They are on hand to provide you with the information you need on any of our gravestones or headstones. 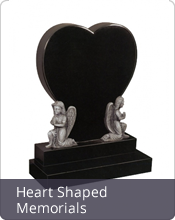 We make sure that you receive the perfect cemetery headstones or gravestones or anything else that you need for your loved ones. The process of getting the right memorial for your lost loved one can be stressful. However, we make sure that you get the perfect item that you are looking for. 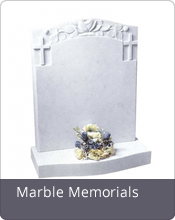 Your memorial is very important to us and we will make every effort to make the process of ordering the stone as straightforward as possible. Our stonemasons are here to make sure that your memorial is exactly what you're looking for; removing all the stress of finding and designing the stone. We know this is a hard time for you which is why we conduct our services in a friendly, calm manor. 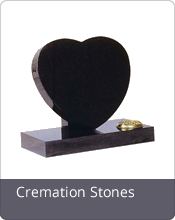 Our extensive range of cremation stones and so many others offers complete customisation to each individual requirements. 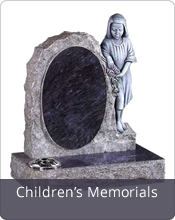 We are sure to cover any of your requirements and with a professional team of stonemasons behind every headstone and gravestone we design; you are certain to get the perfect memorial for your recently departed loved one. 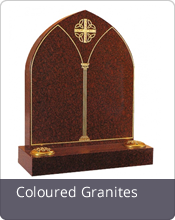 We have a team of professional stonemasons that have been working in the industry for many years providing quality designs and installations of cremation stones for our clients. We re-create old designs and will even create bespoke creations to match clients individual requests. 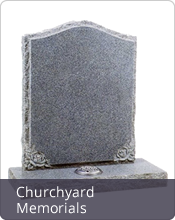 Our stonemasons will tailor the headstone and memorial to your specific requirements. 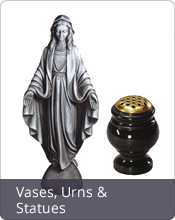 Our team stride to meet all expectations and requirements with every cemetery memorial we complete. From creating something you see in our portfolio to creating a brand new design for you lost loved one; we will create the perfect headstone for you. If you would like to enquire about our gravestone inscription services or about our range of headstones, please contact us today and one of our stonemasons will be on hand to provide you with the information you need. Our expert stonemasons will ensure that you receive the service you desire and will answer any questions you have. 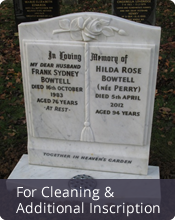 Our headstone cleaning, grave restoration and new cemetery stone services have been provided to our clients throughout North London, Essex and Hertfordshire. 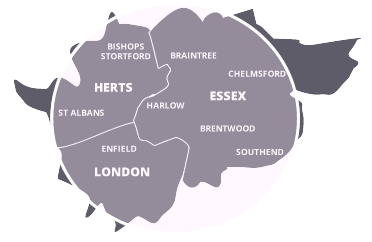 The areas we cover include Epping, Harlow, Hertford, Bishop's Stortford, Cheshunt, Braintree, St Pancras, Enfield, Hoddesdon, Parndon Wood, Welwyn Garden City, Broxbourne, Roydon, Barnet, Hatfield, Edgware, St Albans, Loughton, Chigwell, Saffron Walden, Potters Bar and Ware.